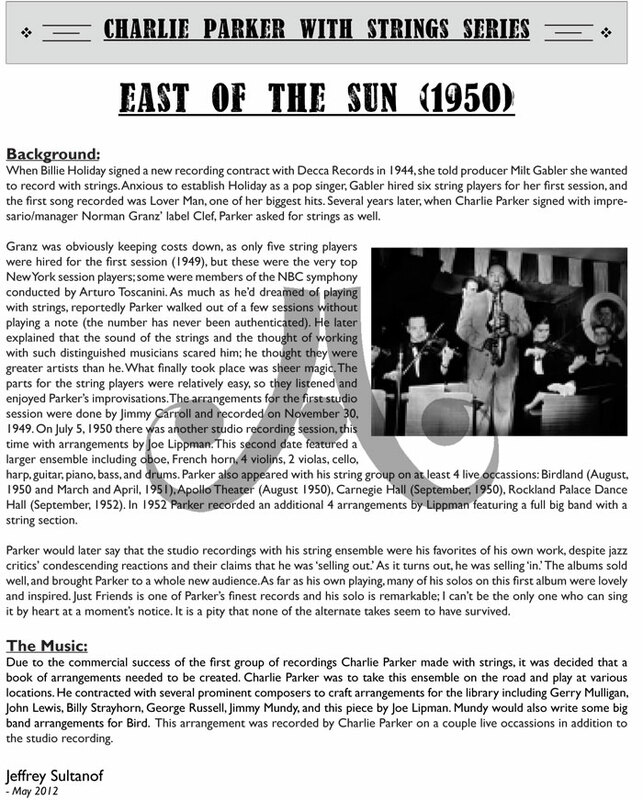 Recorded by Charlie Parker with Strings. 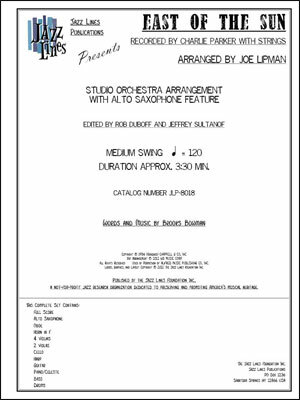 This arrangement was done by Joe Lipman for the second studio session that Charlie Parker did featuring strings (1950). 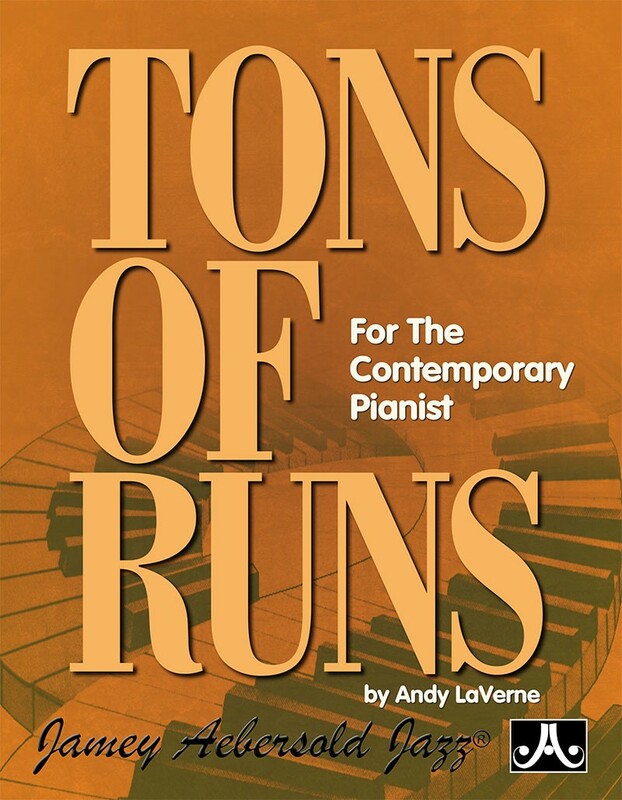 The instrumentation on this one includes 4 violin parts, 2 viola, cello parts as well as Oboe/English Horn, horn in F, harp, guitar, piano/celeste, bass, and drums. There was no guitar part; however, we have added one as an option. This has been completely edited and engraved from the original score and parts. Harp pedaling has been included. Piano doubles on celeste for one chord. NOTE: This is part of a Charlie Parker with Stings series of arrangements.